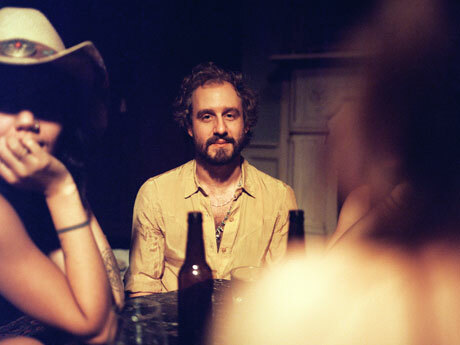 This year, Phosphorescent delivered both standard and expanded editions of Muchacho, which just this morning scored the No. 8 spot on Exclaim! 's Top 10 Country, Folk & Blues Albums of 2013, so it may be a while before Matthew Houck's rootsy project gives up anymore new tunes. On the plus side, he's announced that a quick North American tour will keep him busy early next year. A four-night stand in Brooklyn, including one solo performance from Houck, takes Phosphorescent out of 2013, but they'll be back on the road by the end of January. As you'll see down below, the bulk of the dates are U.S.-based, but there is one Canadian show stop to mention. The project will play Toronto's Mod Club on February 1. As previously reported, the deluxe edition of Muchacho, dubbed Muhacho De Lujo, contains a secondary disc of live songs London's St. Pancras Church, featuring Houck on guitar with Jo Schornikow on piano.